How many tools do you need to do internet marketing? James Schramko here with an internet marketing news tips update. Well it’s pretty much the language we use for our target market for some kind of report or information that you get in a PDF format. So for enterprise industries and commercial markets, a white paper is probably the term to use. For mom and dad, you might be looking at a fast start guide or an eBook or a quick report. So you can use the right language for your market for the right document even if it’s exactly the same thing. When marketing to verticals, you want to make sure you understand the dialogue of the market. Well it’s an industry classification, it could be motor dealers, it could be kitchen renovation companies, it could be electricians, plumbers, pest controllers, accountants, you get the picture. So make sure you go into their industry, have a look at trade journals, get a magazine about it, read their advertisements, look at the yellow pages ads, look at a bunch of competitors’ websites in that space and learn how they operate. And get a good feel about their problems, and their pain points and the common objections that keep coming up with every one of their customers and in particular, with their business because if you’re out there providing internet marketing solutions, you can either get the customer direct and then sell those leads to the verticals or you could work with the verticals and get paid on a fee basis to help them or some kind of partnership or perhaps you can even buy a business in those verticals and use your internet marketing skills to do them up which is something that I’ve done. I have a part share in a pest control company of all things and the deal is I improve their online marketing presence and we make more profit applying those things. 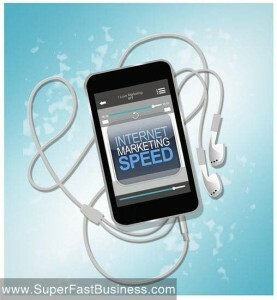 How many tools do you need to do this internet marketing thing? I’ve posed the question to a friend of mine Lukey Luke Moulton on a recent podcast and we talked for about an hour going through all the tools that we could use. Some that I use and he used some that he uses that I don’t use. And I think you’ll find it great listening to discover what tools you don’t currently know about or which ones we’ve decided not to use and the reasons why. I still think in internet marketing we have a very low variance of entry. I mean with just a simple camera and YouTube channel, you can at least get in front of a big audience. And a website these days is a great place to capture an email list. But those things start from just a few dollars per month for hosting, domain names are cheap. But then beyond that if you want to scale your business, if you want to get into the multimillion dollar mark and if you want to have a team you will need some more solutions. So we talk about which ones are good. Traffic Grab #2 is on the way and it’s pretty exciting what I’m putting there and I think you’ll enjoy it. All SuperFastBusiness members will be getting access to the new Traffic Grab modules inside SuperFastBusiness. All Traffic Grab 1 members will be getting access to Traffic Grab 2 and when Traffic Grab 2 is finished then it will go on sale from TrafficGrab.com. I think you’ll find this is going to be an easier to use course than Traffic Grab 1 with the latest test data from my own lab. Pretty cool stuff. So if you’re thinking of starting a podcast, there’s been a really good thread in SuperFastBusiness about podcasts and I’ve also done some interviews on other people’s podcasts. I went on Dan Norris’s podcast and I went on the ILoveMarketing podcast with Joe Polish and Dean Jackson. It’s been getting great feedback, episode #77. Be sure to check it out. You’ll get a good feel for what is possible with a podcast in that iTunes Store. Podcasts are most definitely a part of Traffic Grab 2 because they’ve been absolutely critical points in my SuperFastBusiness empire growth. Podcasts are a great thing to do for traffic and for relationship building and for conversions. When it comes to websites, a lot of people including myself start out by buying a new domain. But the thing is you’re going to get a reasonably crappy domain buying it new. A lot of the fantastic domains are gone. You know the one word, the two words a lot of them are no longer available. But they are available, they are available second hand. And second I figured that out I started buying premium domain names like SEOPartner and SilverCircle. They weren’t just sitting there ready to buy. They were already gone but I was able to buy them for a reasonable sum and then develop them. And it brings that brand value to the table which I’ve talked about at other times. Branding is essential for SEO but it’s also great for things like podcast and for people typing in your brand. You will own the search phrases. So I just released a bunch of domains and mature websites from Marketplace already on the first night 12 of them got snapped up straight away because people recognize for the same price as building a small brand new website, you can get a matured website with indexed pages with fresh cache dates, in some cases with search positions already in hot markets. And you’ll also get backlinks to these sites. So I imagine that these people have picked up a bargain. They can probably develop them and put some marketing effort and some fresh content into them. Stick a name capture and some kind of monetization and the profits will rack up quickly. I also sold one of my premium featured domains. So keep an eye out for that. There were around 6 buyers for that domain because it was like a business ready to go. I will put more on Marketplace so make sure you register for news updates for that particular website. Why do we sometimes combine solutions? We might take an auto responder here and we might take a shopping cart there and then we splice them together. Well when you’re looking to grow your business over the long term, you want to make long term decisions so I picked platforms that I think I can survive with for quite some time. That will do the things I need to do or most of the things I need to do. In this case I’m using Office Autopilot combined with Nanacast. When Office Autopilot probably could do some of the cart and affiliate functions, Nanacast has been my superior solution for that for several years and I think it’s going to continue to be strong. So I actually get extra power by combining them. And even though I have to log in to two places, I don’t have to log in so often and they both do their thing well. So it’s like when you buy a Mercedes Benz, the tires on that Mercedes Benz are going to be Pirelli or Continental or Michelin because they’re the best tires you can get. So sometimes it’s okay to mix components to get a better result. Somebody in SuperFastBusiness had asked, what are good events to attend? So I’ve posted some of the ones that I’m going to and the reason I go to events is there’s no better relationship than face-to-face. It’s great meeting people on camera and in the iTunes store but when you go to events and you can sit down and share a meal or drink with someone; you really get to know them. That’s why you should attend live events. You should network with people. Go to the local meet-ups in SuperFastBusiness. Go to industry events. Get face-to-face. From there you’ll find the strongest relationships that make you the most sales even though we’re in the internet marketing world and it’s great living at home and operating from your front garden. What you will find is when you go out and meet people, that’s when you can turn that internet marketing skill into cash because nobody out there really understands this like you do. So get out to an event and have some fun with it. Please leave your comment next to this video, let me know how we’re going. Tell me which bits you enjoy and I’ll come back to you next week with a refined and improved version. Good roundup this week James! I’m looking forward to seeing what you’ve got in Traffic Grab 2. Agreed. I guess a classic example of this was my recent podcast with i Love marketing – I met them offline and now this online podcast stretches into a new listener base. Yay! I agree with the off-line. I am meeting people and laying the foundations for setting up men’s groups locally and nationally, and I’m giving out business cards. In fact I have just had my first off-line sale via the QR code on my business card. Small steps but always forward. A mixture of both worlds is a fundamental. This is awesome!Lot of helpful tips you have mentioned in here. I am actually thinking about which one to choose for my market… whether the ebook or the white paper and you idea added some eyeopening aha for me. Thanks. Curious about Traffic Grab 2! be checking it soon… keep coming!